Creating habitat in the garden brings another layer of experience, wonder and learning opportunities. It also gives you lots of opportunities for the “wow” moment with your students- always a spark to curiosity and further investigation. This time of year if you have cover crop (an over wintering mix of nitrogen producing legumes) in bloom look for ladybugs! You will also find them on your old aphid covered kales! Create a laminated card with the lifecycle of a ladybug and have students look for both the adult, pupae and the larvae! Las Pilates Nursery has a lot of information on planning habitat plantings using CA natives. They include plant lists with bloom periods as ideally want to have something always in bloom. Las Pilates offers great photos of birds, bees and other pollinators and the plants that attract them. ​Creating wildlife theme gardens allows the class to break up into smaller groups for observations. Include clear sit spots around the study zones. Plant native salvias and manzanitas to create a Hummingbird Patch. Did you know that hummingbirds are the only birds to fly backwards? They can fly 25-30 mph. The Anna’s hummingbird has been know to fly up to 50 mph when diving! Plant a bird seed bed with millet, sunflowers, amaranths and cosmos. The goldfinches and other seed eating birds will love this fall feast and student will get to observe. Bird Sleuth is offering free classroom birdfeeders. Make sure that maintenance department is OK with spilled bird seed-sometime if rats are an issue this may not fly! If you have open spaces adjoining your garden you might consider installing some nest boxes for cavity nesting birds like the Western Bluebird and the Violet Green Tree Swallow. Cornell University has developed a wonderful Citizen Science program called Nestwatch which is linked to a 5-8 grade free curriculum called Thinking Outside the (Nest) Box. Interested in learning more about Monarchs? 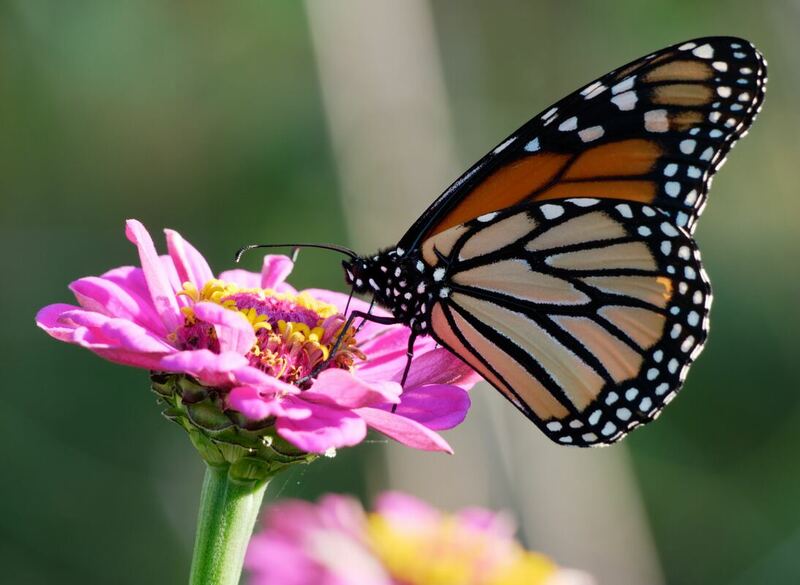 The National Wildlife Federation has some free activities and lessons -Monarch Mission: Empowering Students to Improve Monarch Habitat. Schoolyard-Enhanced Learning -shows how the school grounds—regardless of whether your school is in an urban, suburban, or rural setting—can become an enriching extension of the classroom. In this comprehensive handbook, Herb Broda blends theory and practice, providing readers with practical suggestions and teacher-tested activities for using the most powerful audio-visual tool available—the outdoors. 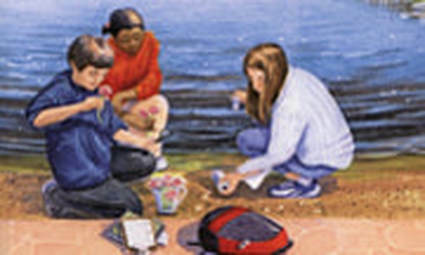 Schoolyard Ecology-Students become schoolyard ecologists, learning key ecological and biological concepts as they investigate the multiplicity of life that exists right outside the classroom window. Outside Your Window A First Book of Nature-This gorgeously illustrated volume of poetry — sprinkled with facts and fun things to do — sows an early love for nature in all its beauty and wonder.